The origins of this buttery, flaky, puffy pastry are surrounded with mystery. Multiple legends exist, giving the croissant a much more romantic story than its true history. But such a delicious and perfect pastry deserves a romantic story, so we can put the truth aside, for now. Although croissants are usually associated with France – the name, after all, is French – they were actually invented in Vienna. 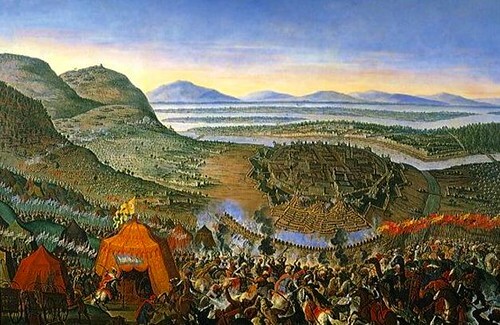 In 1683, Vienna was under siege by the Ottomans for two months. The situation was desperate at many stages of the siege, but the soldiers inside of Vienna resisted under the leadership of Count Starhemberg, until the Austrians gathered a powerful army which included King Sobieski and his Polish troops. After defeating the Ottomans, an unnamed baker decided to celebrate. Inspired by the shape of the symbol in the Ottoman flag, the crescent moon, he shaped his pastry like a crescent and the croissant was born – although under the name “Kipfel,” which means crescent in German. Some stories claim that this legendary baker was not only the inventor of the croissant but also the hero who warned soldiers of a secret tunnel that the Ottomans were digging to invade the city. This is, perhaps, a bit of a stretch. We can probably also ignore the claims made by Budapest, where the exact same story is told but set during the Ottoman siege of Buda, three years later, in 1686. A hundred years later, the Kipfel were already very popular among the nobility of Vienna. Fifteen-year-old Marie Antoinette traveled to Versailles, to marry the future king of France, Louis XVI, in the year 1770. The Austrian princess herself introduced the croissant to France. 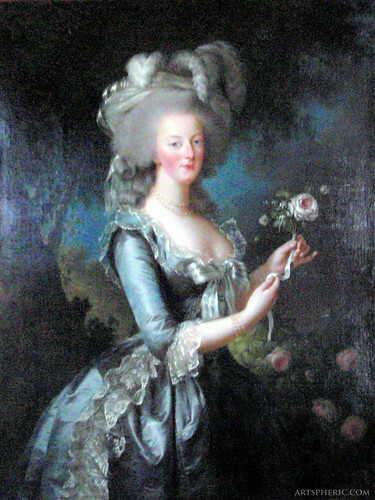 The story is that Marie Antoinette, homesick in Versailles, requested the royal bakers to recreate her favorite Viennese pastry. There, the Kipfel became known as croissant – crescent in French. The croissants became extremely popular in France, where they were perfected, and we still love them today. Now, on to the more likely story. The Kipfel, although it may or may not have originated with the baker who was inspired by the symbolic Ottoman crescent, also happens to resemble a pair of horns. Many mythological figures in antiquity are associated with the shape. Moon cakes, for example, were used as offerings in ancient Greece. Being an important shape, full of symbolism, we cannot assume that the legend is true just because the croissant resembles the Ottoman crescent. The pastry may have been inspired by other symbols. The Kipfel was, in fact, brought to Paris by an Austrian baker. August Zang, an artillery officer, moved to Paris and started a Viennese bakery around 1838. There, he sold the Kipfel and other Viennese pastries. The pastries sold in his bakery became known as Viennoiseries, French for “things (pastries) of Vienna.” The Kipfel became popular and was imitated by French bakers, who renamed it croissant. However, it is unlikely that the Kipfel brought by August Zang tasted quite like today’s croissant. The first recipes of the croissant in French cookbooks date from the 1850s, but it was not until the early 1900s that the recipes started to look like the recipes we still use today that result in a buttery, flaky, yeasty croissant. The technique that creates a flaky puffy pastry has existed since the 17th century in France, but it appears that no baker was inspired to use the technique on the crescent-shaped Kipfel until two hundred years later. 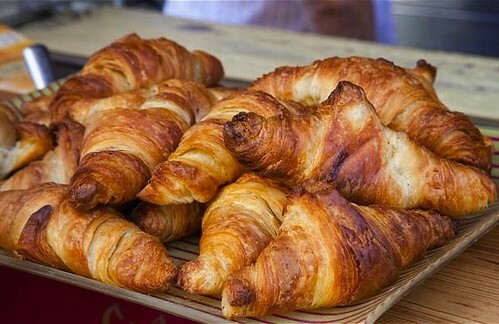 Today, the croissant is an extremely popular pastry. Its popularity, however, has had a negative effect: the rise of the industrial production of croissants. Boulangeries in France, shops that sell bread and pastries, can only use this term if the bread is prepared and baked in the shop itself. Viennoiseries do not require this, and many boulangeries now buy industrially pre-made croissants that only need to be popped in the oven before selling. Although companies that prepare industrial croissants have high-quality standards, there is something off about the industrial croissant. Unfortunately, homemade croissants are more expensive and many true boulangers in France are suffering losses. 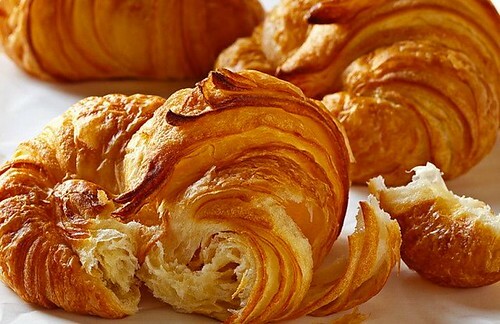 The croissant is a special pastry and its legendary origins make it extraordinary. Its industrial production seems to take away from the romance of its fictional history. Let’s hope that the homemade tradition prevails.